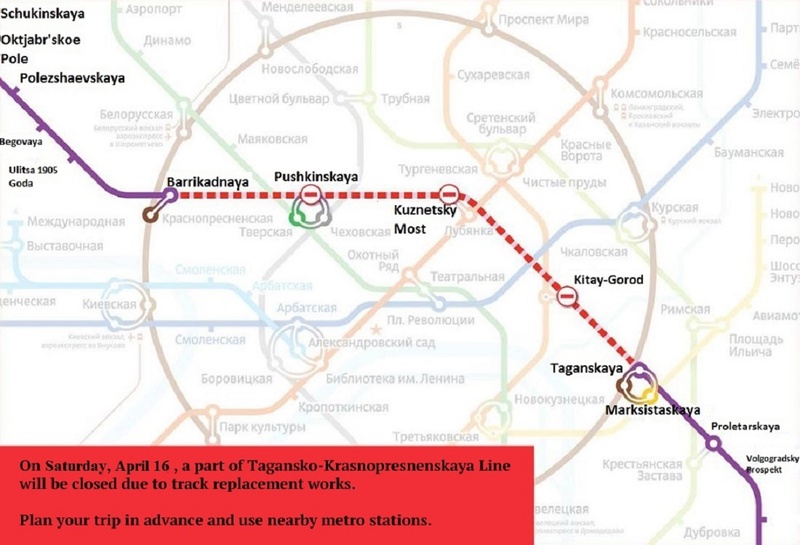 Central stations of the dark blue (Arbat-Pokrovskaya) metro line will be closed on April 2 due to overhaul the tracks. Smolenskaya, Arbatskaya, and Ploschad Revolutsii stations won’t work for entering and exit of passengers. Trains will run from Schelkovskaya to Kurskaya and from Kievskaya to Pyatnitskoe Shosse stations. 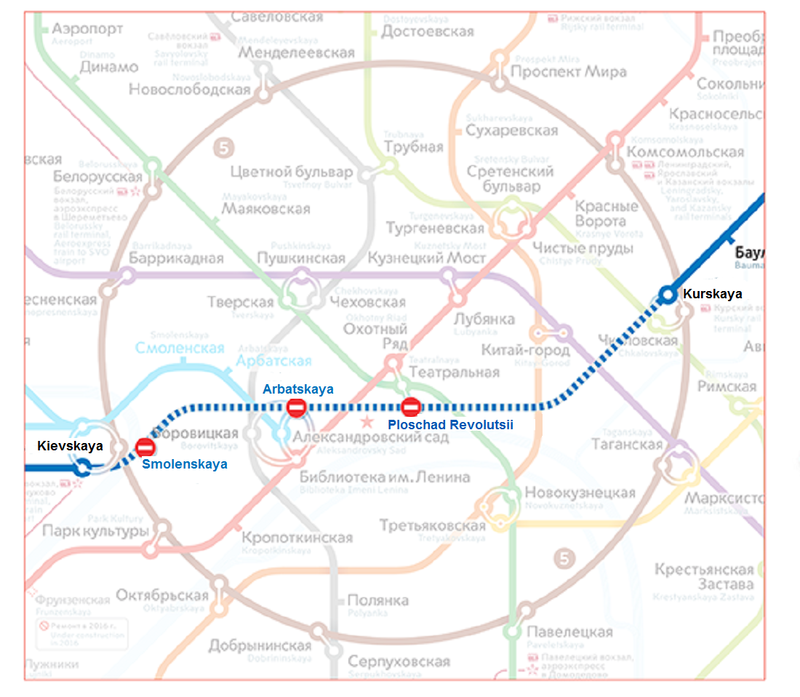 Kurskaya and Kievskaya will run as the final station and transfers to the Circle line. Passengers are advised to use other subway stations, located in the vicinity of the closed ones and ground public transport. Smolenskaya, Arbatskaya, and Ploschad Revolutsii stations will resume their work on Sunday, April 3 at 5 hours and 30 minutes. 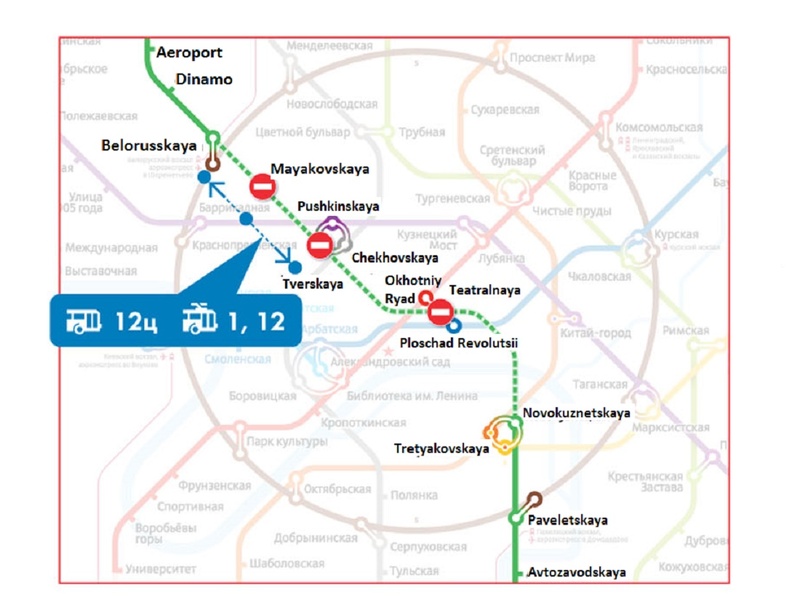 Administration of the Moscow Metro encourages passengers to plan their routes in advance, taking into account the limitations in movement and apologizes for the temporary inconvenience. For details, visit the official site of the Moscow Metro (only in Russian).